In southern Tenerife, near fishing town Los Christainos, the Oasis Mango offer a luxurious stay amidst scenic surroundings. 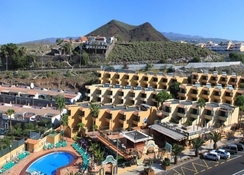 Perched on a hillock and offering excellent views of costal Tenerife, this apartment hotel is bristling with all modern amenities to serve the guests. Dip your toes in the lukewarm waters of the Atlantic, or lie down whole day on a sun-lounger by the pool, the Oasis Mango is perfect for a comfortable stay for fun in the Canary sun. The family-friendly apartments have spacious, well-furnished rooms. The aparthotels provide all-inclusive and self-catering options. With 89 guest rooms attached with balconies offering great views of the beautiful Tenerife coast, a restaurant to offer delicious local and international cuisine and pool bars, this hotel ranks higher on traveler wishlists. 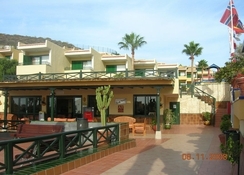 The aparthotel is located close to the fishing town of Los Cristianos, away from the hustle and bustle on a hilltop. The surroundings in Southern Tenerife are quite scenic. There are cafes, restaurants and bars just a five minutes’ away from the aparthotel. The hotel has 29 tastefully designed and spacious apartments filled with ample natural light and ventilation. The rooms are furnished with en suite bathroom and shower, living room, bedroom, kitchen and balcony/terrace. Satellite TV and telephones are available in every room. 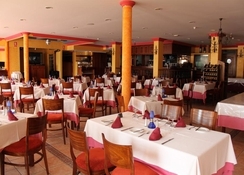 The hotel has a main buffet restaurant Alfonso's which serves all major meals. This restaurant also serves snacks and drinks to the guests at pool. Many local and international cuisines are served in the buffets. 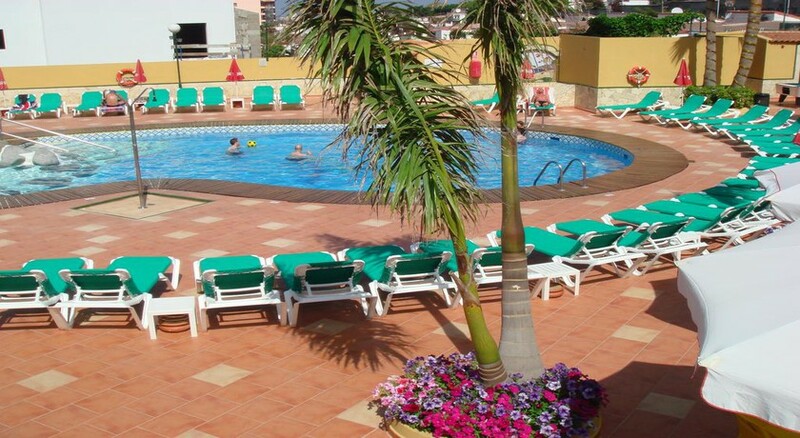 The hotel has a large central heated pool, kid’s pool and sun-terrace with sun-loungers where guests can relax. Those looking for entertainment, can head to the TV lounge. The hotel hosts live music and entertainment programs for guests. Internet via modem is available in the business centre and costs EUR 6 per hour.